The design professionals at IVY Studio, a design and build consulting firm based in Massachusetts specializing in outdoor expansion projects are also money managers. You ask how? 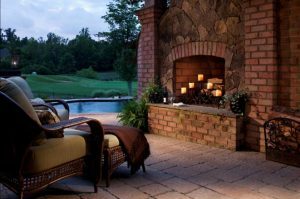 When we engage in the design and build process with our clients, we create a unique relationship that starts with an idea that becomes a concept and evolves into a tangible, organic finished product that is a unique one of a kind outdoor expansion. We early on in the process discuss your budget considerations and we are mindful of adhering to these as we design and price your project, looking at the most efficient way to stretch both the design and budget envelopes. Selection of materials and artisans as well as on site project management ensure timely completion within the budget are all part of our money management role. To learn more how we can effectively manage your money while designing and implementing your outdoor expansion project, contact us at 781- 591-0300 or vern@ivystudioMA.com.